Canadian entrepreneur and CEO of Blo Blow Dry Bar, Vanessa Melman Yakobson acquired Blo in 2009 and established it as a franchise system. With its concept of “wash, blo and go,” Blo will have 90 locations by the end of 2016. 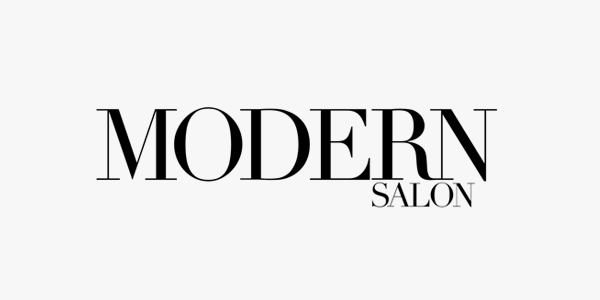 MODERN SALON asked Melman Yakobson to talk about the Blo concept and what has been the key to its success. MS: Who is the Blo client? VMY: We like to joke that the typical Blo client is any woman with hair. The fact is that Blo appeals to women of all ages and stages. Some of our guests come in several times a week to look great every day, some come in for a Saturday night out, and some come in every month or so for special occasions or events. MS: Where has Blo been most successful? VMY: Let’s be honest, women everywhere love having their hair done! That’s why Blo is popular in every market in which we’re located – urban and suburban – and why we are getting requests daily for franchises across North America. We’re opening 20 new bars across the US in the spring of this year, two of which will be in Manhattan on the Upper West Side and Midtown. MS: What other services do you offer? VMY: Blo is big in the bridal business, doing hair for brides and their wedding parties. We also specialize in updos. Some of our locations offer Blo Beauty Services including makeup, nails and waxing. We created a Blo Beauty Mark icon so you can easily find the locations offering those services on our website. MS: What are your retail offerings? VMY: Blo uses Unite hair products in-bar. These fantastic products are paraben and sulfate free, are not tested on animals and help create the gorgeous blo outs we’re known for. We also offer Unite for retail; our clients especially love the styling products that help extend their blo outs. We also offer Aquis hair towels, Savvy Sleepers satin pillowcase, Halo Hair Extensions and other products we’ve carefully selected with our clients in mind. MS: Who is the Blo employee? VMY: Our licensed stylists – we call them bloers –love to work at Blo for a variety of reasons. Some find more enjoyment and creative satisfaction in styling hair than doing cut and color services. Some are new graduates eager to acquire styling skills and earn money while apprenticing at a full service salon. And there are stylists who enjoy the mix between being a part-time bloer and working elsewhere, too. In all cases, our employees have benefited from Blo’s proprietary training program, Blo U(niversity) where they get to learn and develop a highly-valued skill set. MS: Why is working at Blo a great career move? Our bloers regularly gain amazing exposure and recognition. We feature daily hair photos and shout-outs on our social media channels to them. To keep our bloers creatively stimulated, many bars run up-training sessions and other opportunities to help stylists advance their craft. Many of our locations participate in events such as fashion and swim weeks. We have a partnership with UNITE, a global hair brand, and they offer our stylists amazing products to try, in-bar up–training, product knowledge sessions and a lot of opportunities to improve their craft (Global UNITE sessions). Our seasonal style menus also ensure that stylists are trained on new styles throughout the year. Finally, each location has a lead educator that helps oversee ongoing up-training and craft advancement. As for retention, the hair service industry can have a lot of turnover. We offer great opportunities for advancement in terms of educator roles, or more management responsibility. That said, all our bars have a contingent of staff who have worked at their bar since it opened. Our employees appreciate working for a big brand in a ‘family-style’ environment. This is the personal touch that our individual franchise partners bring. MS: How do Blo salons benefit traditional salons in their area? VMY: Many of our owners develop great relationships with neighboring hair salons and they refer business back and forth. Blo doesn’t cut or color hair, and many salons would prefer not to take up a stylist’s time with a blo out service, which is typically at a lower price than their core services. We attract women to an area, which has a spillover effect on the salons near our bars. At one of our locations, a full-service salon next door sends their clients over with wet hair for a blo out after a cut or color. How many bars does Blo currently have open? We currently have about 60 bars open, and expect to open around 20 new locations in 2017. MS: Who do you see as your competition? VMY: Blo is North America’s original blow dry bar – we’ve been around since 2007. We are the blo out experts and set the gold standard in the industry. We are also experts at franchising, with proven systems that have been refined over these many years of being in business. Our branding is strong and recognizable. What’s more, all our locations are owned by franchisees who are passionate about their business and their community. Our guests love knowing that their Blo is operated by an owner who is dedicated to their business and the customers they serve.